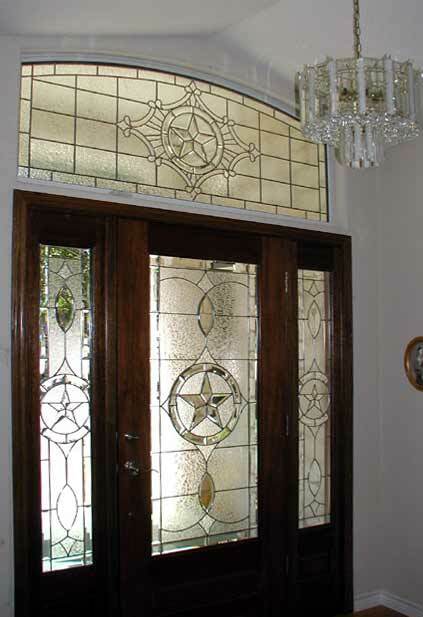 "TEXAS STAR" CUSTOM LEADED BEVELED GLASS HORIZONTAL TRANSOM WINDOW CREATED BY JACK McCOY©. "TEXSTARE7" leaded beveled glass transom to compliment existing leaded beveled glass in existing doors. For a private residence Horseshoe Bay, Texas.